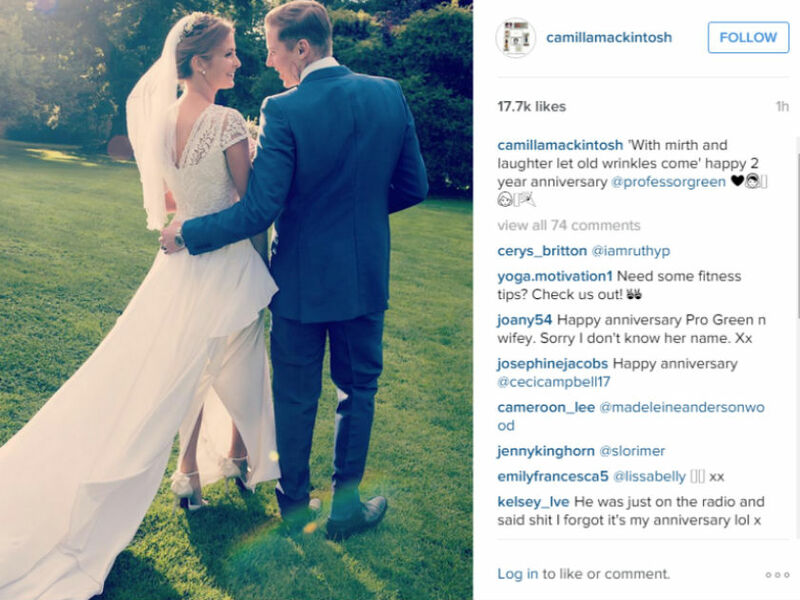 Happy anniversary Millie Mackintosh and Pro Green– see 10 of their cutest pictures to date! 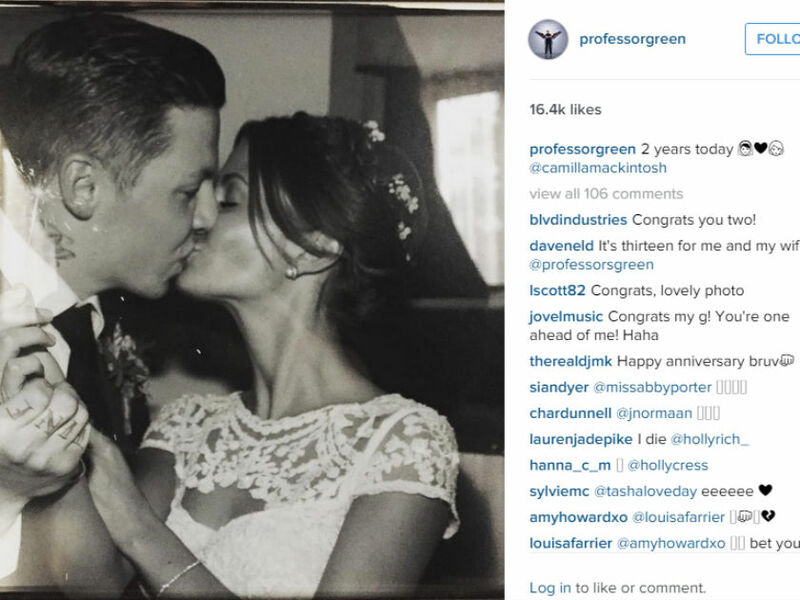 Happy second anniversary to Millie Mackintosh and Professor Green! See their top ten cutest pics HERE! Can you believe it’s been a full two years since Millie Mackintosh and Professor Green did the ‘I-do’s’ back in 2013?! Well we certainly can, because we have been keeping track of every… single…….moment. *Tries to not look like a major weirdo. Probably fails*. A combination of incredible genes and an army of adorable pooches later, it’s more than fair to say the couple have one hell of a ‘marriage-goals’ empire in their hands. And want to know the best thing?! IT’S ALL ON INSTAGRAM FOR US TO DRIBBLE OVER! And in the usual Professor-Mackintosh way, the couple have posted matching his-and-hers Instagram pictures in celebration of their special day- all of which is far too flipping cute. Millie, 26, posted a snap of herself and her husband on their wedding day, with the caption ‘With mirth and laughter let old wrinkles come’ happy 2 year anniversary @professorgreen’. The comments are awash with messages of well wishes for the couple (and also a fair bit of couple envy, but don’t worry guys- we feel ya’), ‘Cutest couple! Congrats Millie and P Green!’, ‘They’re my absolute faves’, ‘Happy anniversary gorgeous couple!’. Pro G matched Millie‘s cuteness with his own wedding day snap, this time a frontal picture of the pair. Captioned ‘Two years today @camillamackintosh‘, Pro also received a flurry of couple-lovin’ in his comments; ‘Happy anniversary you beautiful pair’, ‘Have a great day x’. Catch me on the @KissFMUK breakfast show this morning! Might even hear some new bars! So anyway- whilst we fill out our adoption appeal to send to Pro and Mils, why don’t you take a flick through the top ten cutest pictures of our favourite couple? !